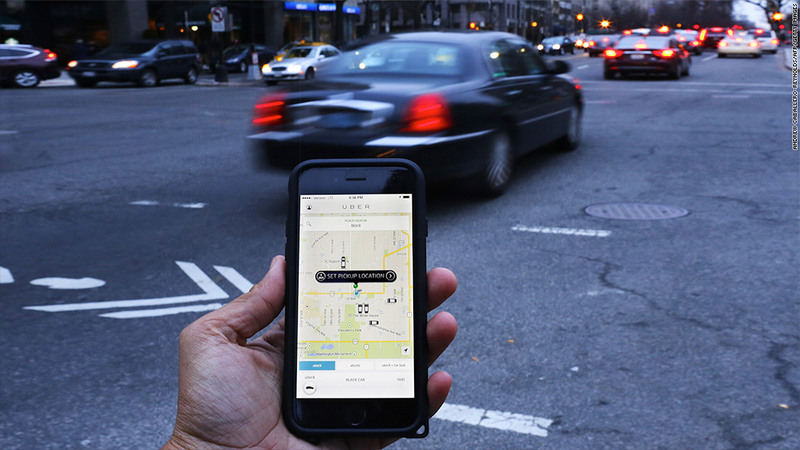 Some Houston drivers are enduring marathon commutes rather than work for Uber. Their commutes to Austin are two or three hours each way. They go days without seeing their children. But these drivers describe the decision as life-changing. They're happier, less stressed and, for some, finances have been saved. "I thank god that Ride Austin and Fasten came aboard," said Yerica Garcia, who resorted to driving for the Austin ridesharing services last summer after one of her vehicles was repossessed. "If it was Uber, I would lose my house too." Garcia fell thousands of dollars behind on her mortgage last year. She blamed Uber for lowering prices and changing its commission split in Houston, which made it difficult to provide for her three children under the age of 10. Yerica Garcia says her finances were saved after she began driving for Ride Austin, whose headquarters are shown above. As Garcia's troubles in Houston mounted, a battle was playing out in Austin. The city wanted drivers to be fingerprinted as a security measure. Uber and Lyft, unhappy with the decision, shut down their services in the Texas capital on May 9. 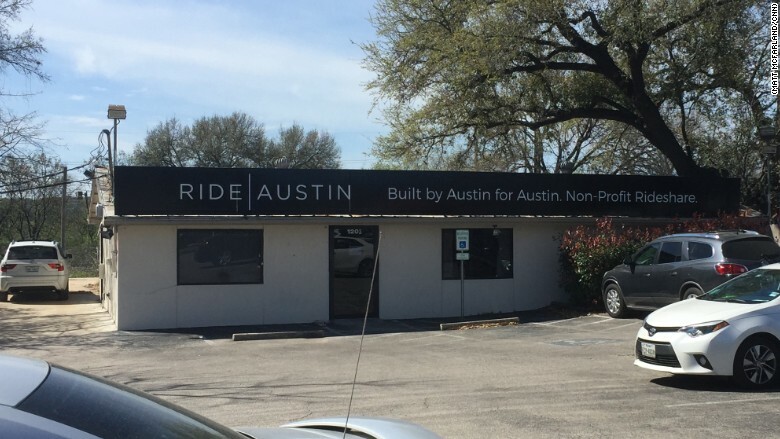 As quickly as Uber and Lyft left, new apps like Ride Austin and Fasten blossomed, providing alternatives for drivers and passengers. One of the apps, Get Me, tried to recruit Garcia as she waited to pick up an Uber passenger at Houston's airport. Meanwhile, Garcia feared losing her home, so she rolled the dice. One day in June, she left her children with her mother and trekked the nearly three hours to Austin. She quickly found that the rates charged in Austin, and the portion that the ridesharing service withheld, were far more favorable to her as a driver. She has since driven mostly for Ride Austin. It does not take a cut of driver's earnings with standard vehicles, instead keeping a $2 booking fee that it charges passengers. But drivers of SUVs and luxury vehicles -- which are paid more per mile and minute -- pay a 20% cut to Ride Austin. In Houston, Uber takes nearly 30% of most rides. Uber drivers in Houston receive 87 cents per mile today, a figure that's dropped in recent years. After that first day in Austin, Garcia began a new ritual. She'd leave Houston at the crack of dawn on Thursday, and return home on Sunday. With money so tight, Garcia would park in an Austin Wal-Mart or apartment complex and sleep in her Nissan Pathfinder. Today, Garcia has nearly caught up on her mortgage payments. She says she makes $1,200 a week in Austin. There's no need to sleep in her car now. She splits an apartment with three other drivers who travel to Austin because of the better pay. "I'm so happy," Cesar Gomes said of driving in Austin. "You're working hard, but you see the money." One of them is Cesar Gomes. He heard from Garcia last summer how she made $350 in a single day. He was stunned. He was used to making maybe $200 driving for Uber in Houston. Gomes shared the news with a buddy, Vitor Lopes, and they made a plan. So one morning last September they caravanned from Houston to Austin. They drove in the city all day, raking in money. Afterward, they celebrated with burgers at a local food truck. Gomes talked of splurging on a gift for his children. "We were so happy," Gomes said. 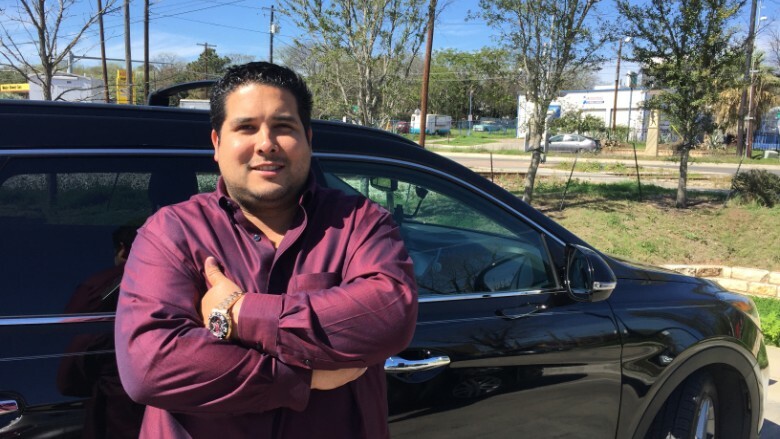 The next month, Gomes and Lopes, flush with cash, both bought new SUVs to use on the Austin ridesharing services. Today, Gomes spends Thursday through Sunday working in Austin. He said he no longer stresses about whether his Uber rating is high enough, or if he'll have enough money for his three kids. He likes the nonprofit aspect of Ride Austin, the service he spends most of his time driving for. 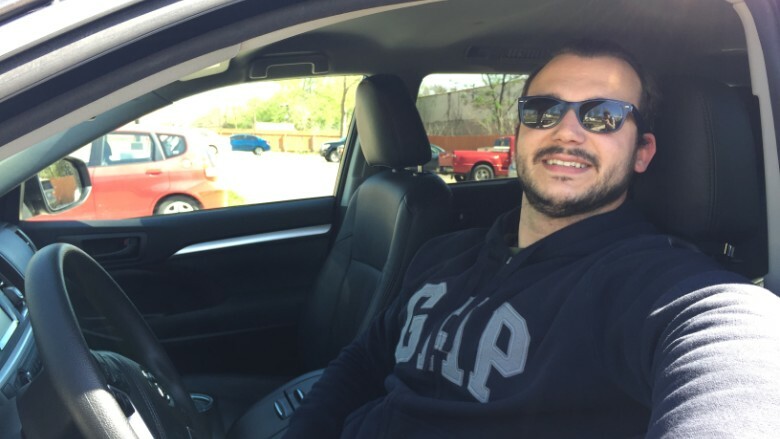 Vitor Lopes moved to Austin this year because of the better ridesharing pay. Lopes has gone a step further -- he moved to Austin in February. Pending legislation is expected to open the door for Uber and Lyft to return to Austin in the months ahead. But drivers like Lopes and Gomez aren't interested. "We don't need Uber," Lopes said. We don't want Uber."